Do Your Clients Need Life Insurance? Most people need life insurance. But the reasons may not be what you’d expect. What would happen to your family if you were to pass on suddenly? Would they lose their home? Would your children be able to attend college as you had always planned? Would your significant other be stuck with a mortgage he or she can’t afford to pay? 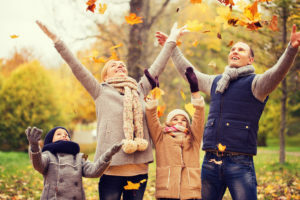 While these reasons for investing in Group Life / AD&D are compelling—and effective to sell voluntary or employer-funded life insurance policies—it’s also worth understanding some the specific reasons people should invest in life insurance. LifeHealthPro Daily recently released a report of six problems solved by life insurance. Let’s consider some of these problems and solutions as they relate to Group Life /AD&D coverage for the average employee. 1. Not enough liquid cash to cover death expenses. From the cost of a coffin, burial, attorney fees, and even any memorial services planned, survivors rarely have liquid cash available to coverage expenses associated with the death of a loved one. Having even a modest life insurance policy can give survivors peace-of-mind that their loved one will have the funeral they desired, which can also help loved ones mourn in an effective way. Life insurance policies pay quickly following death of the policyholder, providing liquid cash when it’s most needed. If the deceased was the primary breadwinner, a life insurance policy can help the family pay upcoming bills on time and maintain their lifestyle, further contributing to their peace-of-mind during a difficult time. This is, undoubtedly, the most common reason for most workers to invest in life insurance coverage. 2. The need for asset stabilization, especially in regard to real estate. If property passes hands from one generation to another, associated taxes can often cause undue financial burden on surviving loved ones. Life insurance can help cover these costs. When a family home changes hands, the survivor may not be able to afford the taxes or insurance on the property, which may result in a forced sale or even foreclosure of the property. A life insurance policy designed to cover these expenses may help a home remain within a family even after the death of the original owner. 3. Transfer of wealth costs. When cash or real estate transfers hands following the death of the original owner, the transfer of wealth often comes with estate taxes, inheritance taxes, legal, and administrative fees. Because life insurance is tax-free for the beneficiary, a life insurance policy can help reduce the financial burden of an inheritance. If you’re already the trusted source for mandatory disability benefits, worker’s compensation coverage, and other benefits as the P&C broker for an organization, it makes sense to expand your book of business by offering Group Life / AD&D coverage. The DBL Center Ltd. has specialists on hand to help you get started right away. Contact us about adding life insurance to your offerings today.